Tell City’s Wastewater Treatment Plant is responsible for one of the most important elements of this community’s health and safety, the effective control and treatment of wastewater generated by Tell City’s citizens and industries. 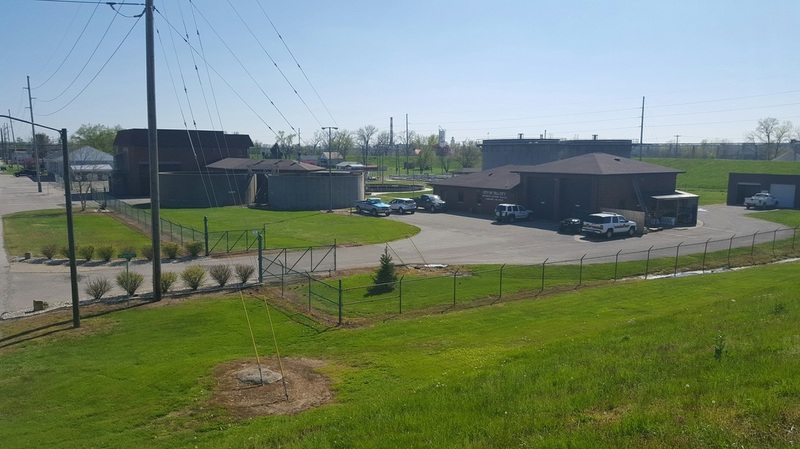 The plant also treats wastewater from outside of our city limits including Cannelton, Troy and the Branchville Correctional Facility (via the Branchville Wastewater force main). While Periodic floods are a part of our history, they illustrate the crucial need for our state of the art treatment facility. With a system of more than 100 miles of pipeline stretching throughout out southern Perry County. Tell City’s Wastewater Treatment Plant treats an average of 1.4 million gallons of wastewater every day with peak flow capability of 7.5 million gallons. The Activated Sludge /Trickling Filter Plant ( Hybrid Plant ) is located at 1123 5th Street. The site also includes the plant offices and laboratory. The plant personnel maintaining 28 lift stations, combined sewer overflow sites, catch basins, and discharge points. Even Tell City’s street sweeping program is designed to aid in the community’s water run-off. Each day, the amount and chemical content of wastewater, created by individual and industrial customers, is monitored by licensed operators to ensure that Tell City complies with the Indiana Department of Enviromental Managements ( IDEM ) streict rules and regulations. Tell City’s treatment plant is cureently undergoing an upgrade to the facility. The National Pollutant Discharge Elimination System ( NPDES ) permit states that our plant will have more strict Phosphorus limits for our effluent. The facility will many changes in the future due to the ever changing world of the wastewater industry.